This shoot was for the Brides of North Texas magazine spring issue. 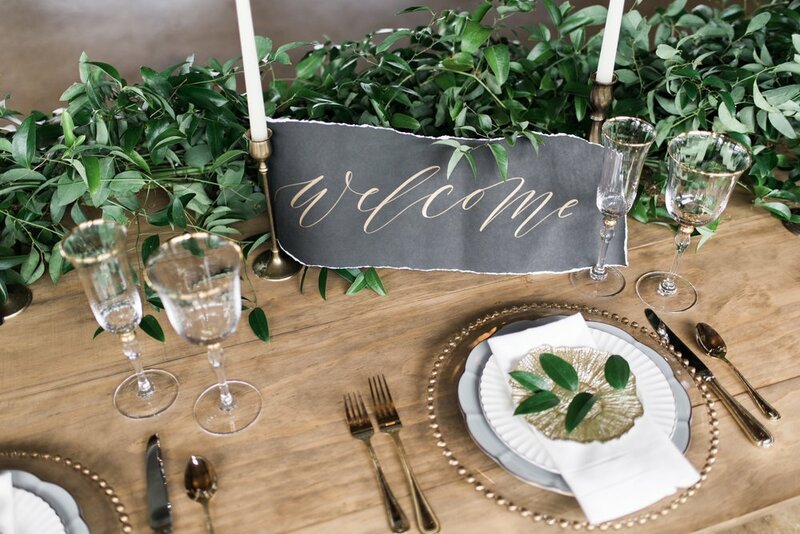 For this shoot, I wanted to play on the greenery trend, but take it to another level. By draping greenery down the front of the table in a pseudo-tablecloth allowed the Italian Ruscus to shine on its own and have an interesting depth. 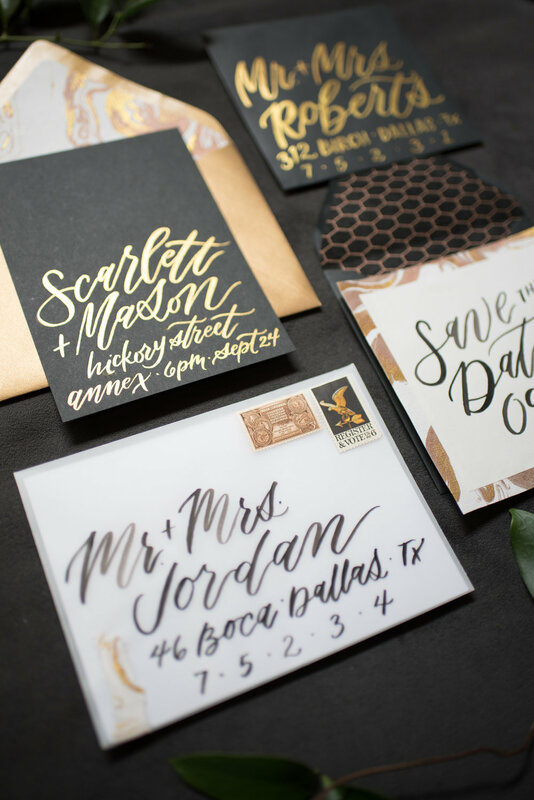 Black and gold details took what could have gone rustic and elevated it to a more refined look. 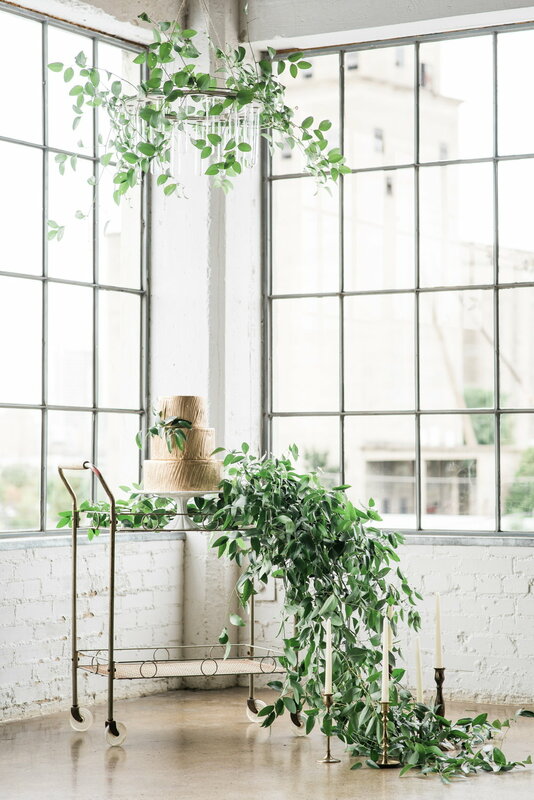 The windows at Hickory Street Annex in Dallas allowed for gorgeous natural light, and an all gold cake helped tie the gold accents in a bit more.